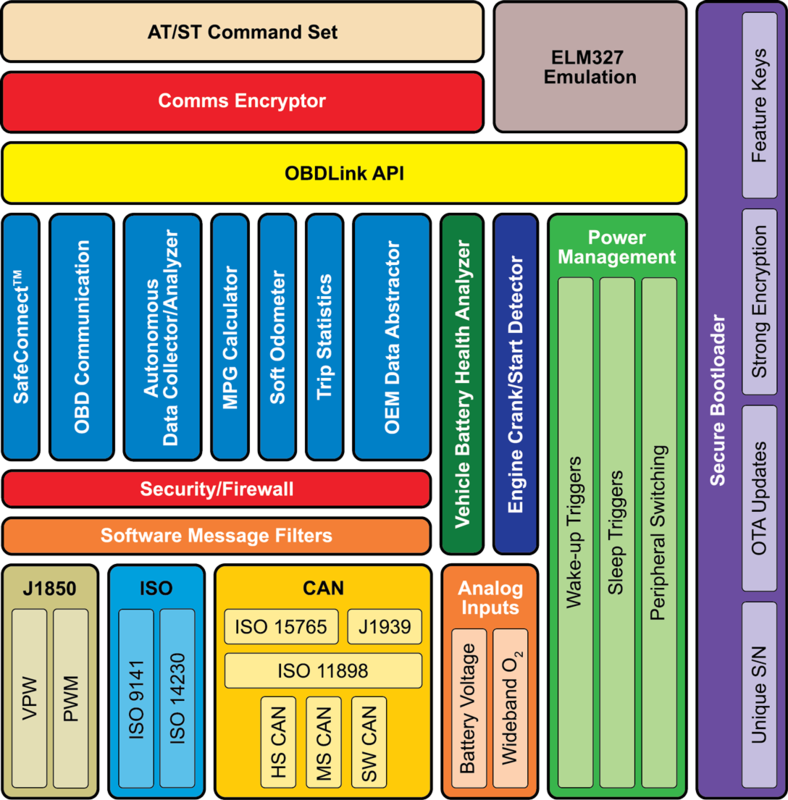 OBDLink® Technology Stack is a set of embedded software modules designed to streamline the development of OBD-enabled products ranging from telematics to diagnostic tools. At the core of the OBDLink Technology Stack is the OBD protocol stack covering all legislated OBD-II protocols, as well as manufacturer-specific protocols such as GMLAN and Ford MSC. OBD Solutions has provided millions of technology licenses to a broad range of industries, including insurance, military, fleet, telematics, consumer, and law enforcement applications. Guaranteed to connect to all OBD-II compliant vehicles — no exceptions!